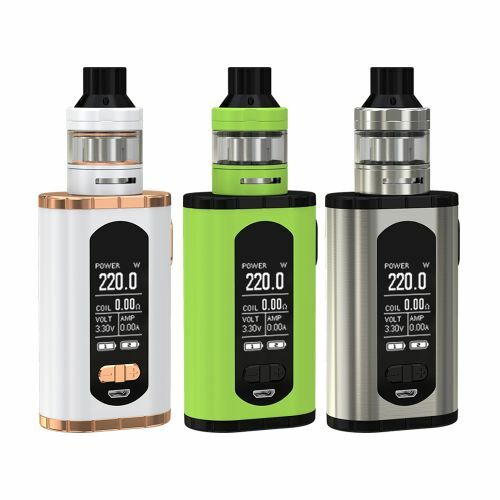 The Eleaf Invoke Kit comes with an extremely compact and ergonomic Invoke box MOD and an Ello T Tank. 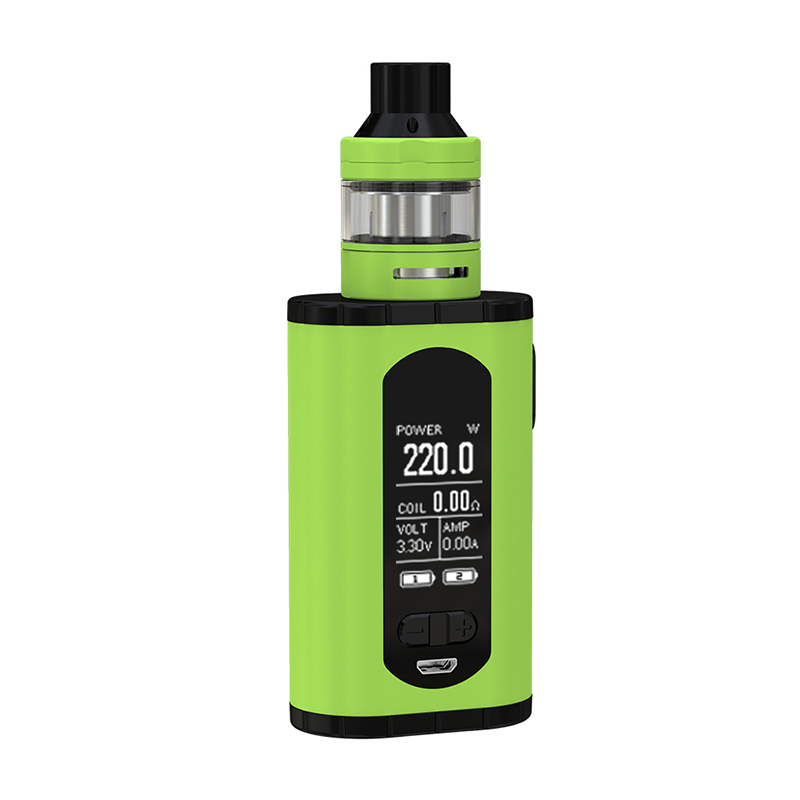 The Eleaf Invoke is powered by dual 18650 batteries, supporting a maximum output of 220W. It has a centered 510 pin and 1.3-inch large screen. The Invoke 220W has advanced temperature control function for TC fans. And the Ello T atomizer features top refill, adjustable bottom airflow and extendable tank capacity from 2ml to 4ml. 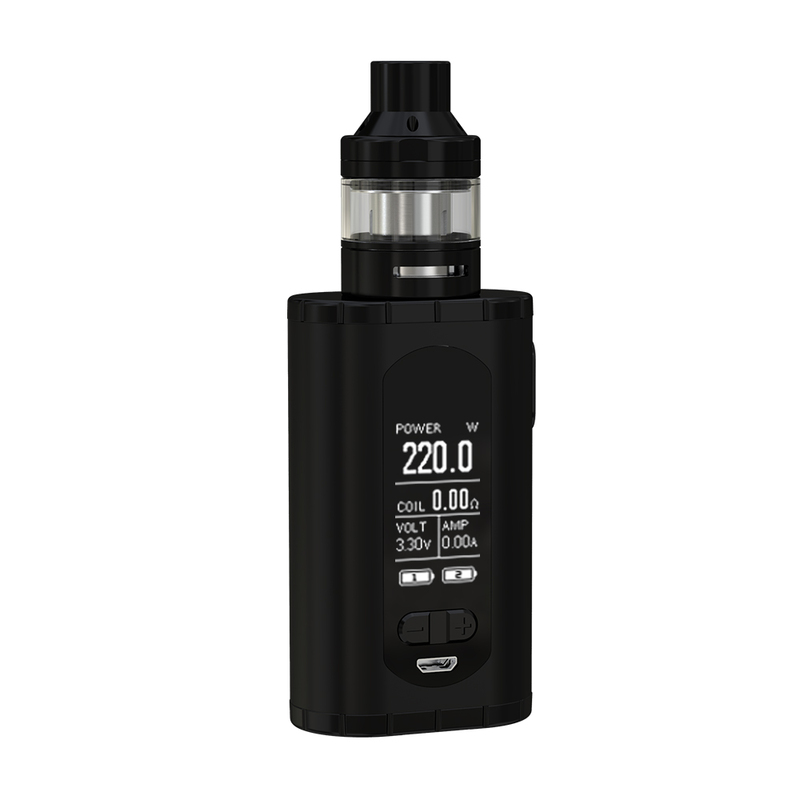 It adopts HW coils and works with Invoke perfectly for intense flavor and cloud.